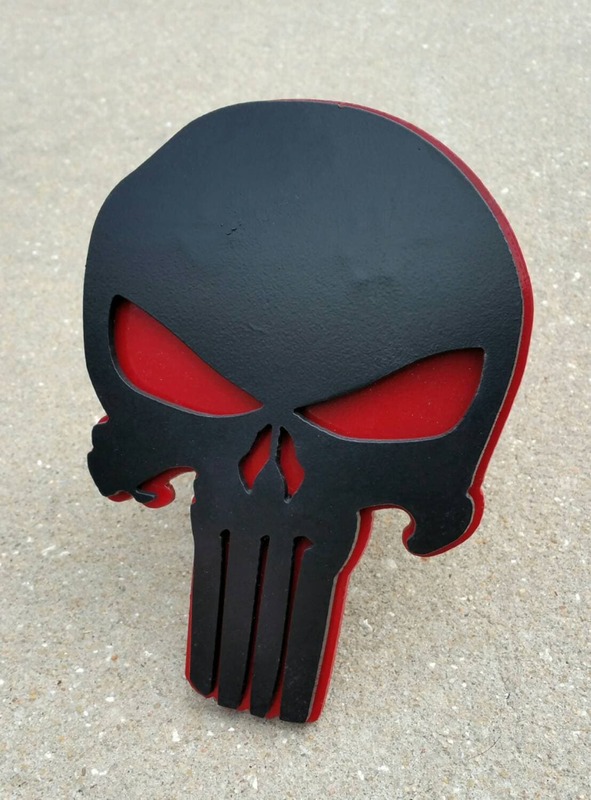 This awesome punisher trailer hitch cover is sure to add a bit of cool to your ride when you aren't dragging around a trailer full of toys. 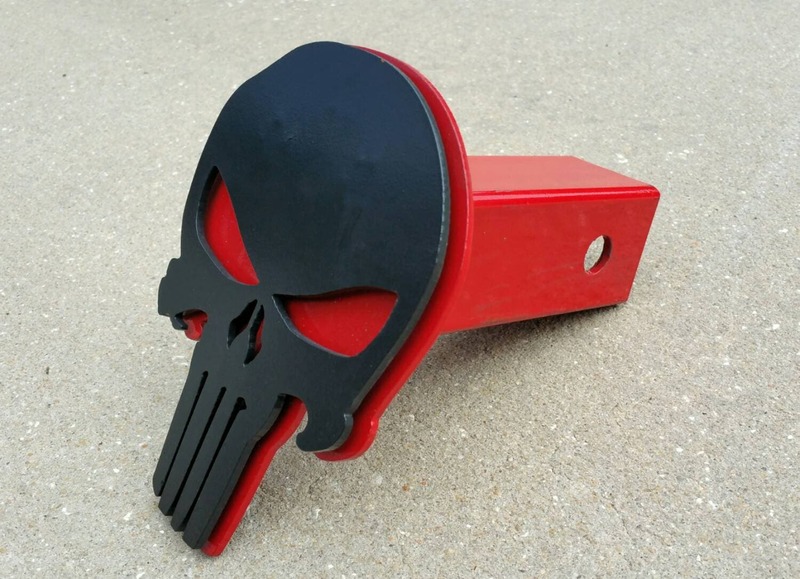 Our black and red punisher is an excellent steel hitch cover built to last. 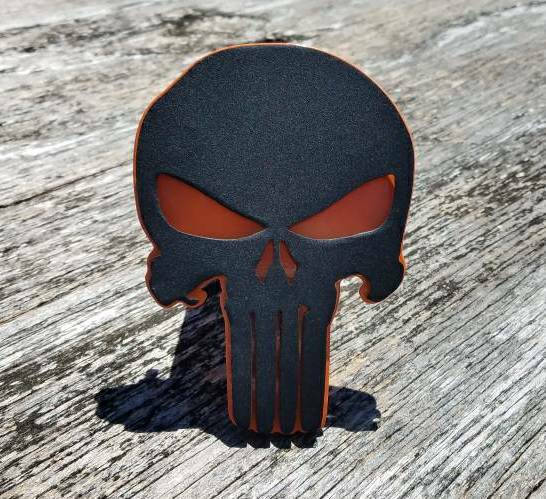 Crafted here in Port Orange Florida, using tools that were made in the USA and cut from US steel...this hitch cover is built to last. 2 layers of 11g steel for the skull, and a chunk of square tube for the reciever, this piece fits 2" receivers only. 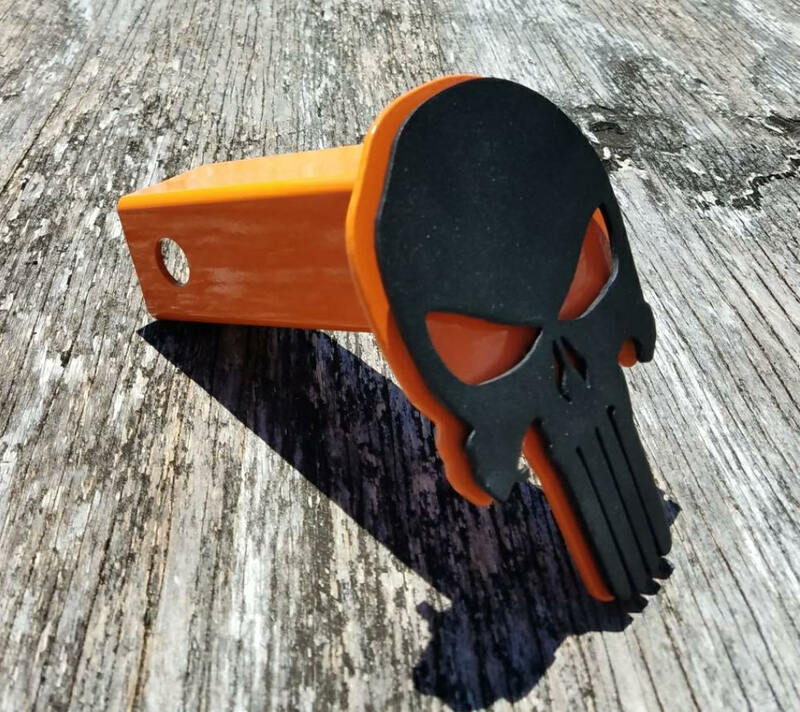 After the pieces are cutout each one is powdercoated and then fastened together with studs and nylock nuts to reveal an awesome piece. 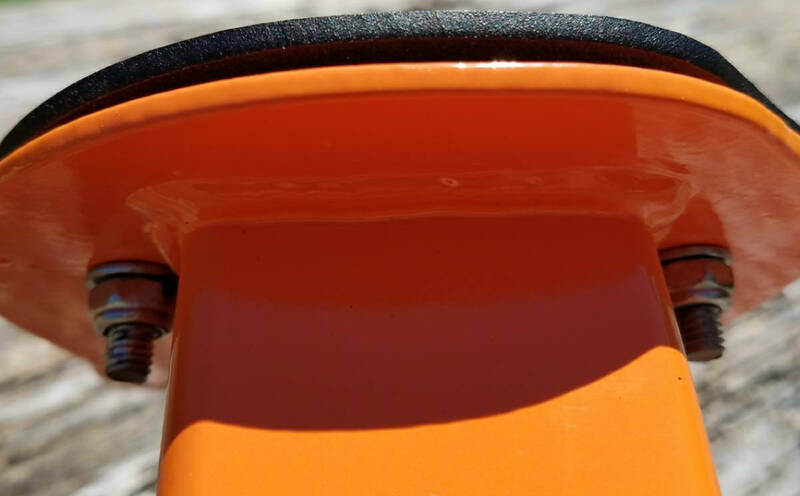 We don't use tape or adhesives as they simply will not hold up to the elements and everyday use. It shipped super early and we were kept in the know through the whole thing. The hitch cover is excellent too! I would highly recommend Seaside Metal Design.